Free Download Casio EXILIM EX-Z330 PDF User Manual, Instructions, User Guide, Owner's Manual. 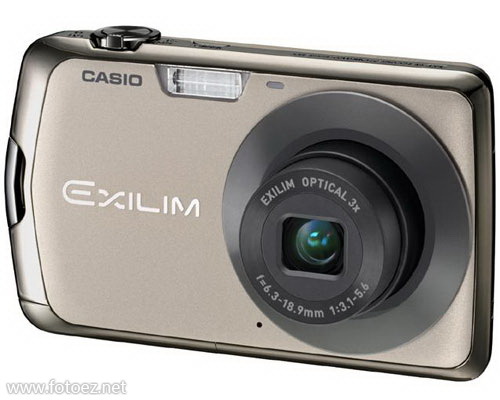 This ultra-slim and elegant Casio EXILIM Zoom EX-Z330 comes with EXILIM Engine 5.0, an improved Dynamic Photo function, 12.1 megapixels CCD, a large, high-resolution 2.7-inch LCD display and HD video recording. EX-Z330 is an easy to use compact camera for everyday use. EXILIM Engine 5.0 controls the level of digital noise reduction applied in accordance with current digital noise generation conditions. High-level image processing minimizes digital noise when shooting with high sensitivity, without sacrificing image texture. Thanks to the new Dynamic Photo Function, you can not only cut out subjects from an image series and insert them into other pictures, but you can also combine your photos with funny animations. You can adapt the size of the subject to best fit the background and the Dynamic Photo subjects can then be transformed into a video using the EXILIM camera itself. Let's go: Surprise your friends with a personal and funny "Dynamic Photo" greeting. BEST SHOT motif settings are extremely practical and therefore can be accessed immediately at the touch of a button. From "Landscape" to "Sunset" your EX-Z330 readily adjusts to the most varied demands, regardless of whether you are taking photos or movies.